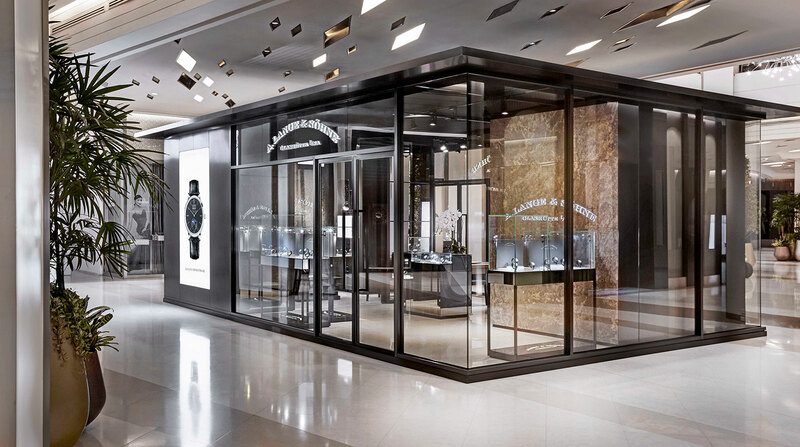 A. Lange & Söhne just opened its first boutique in Thailand, located in the capital city of Bangkok. 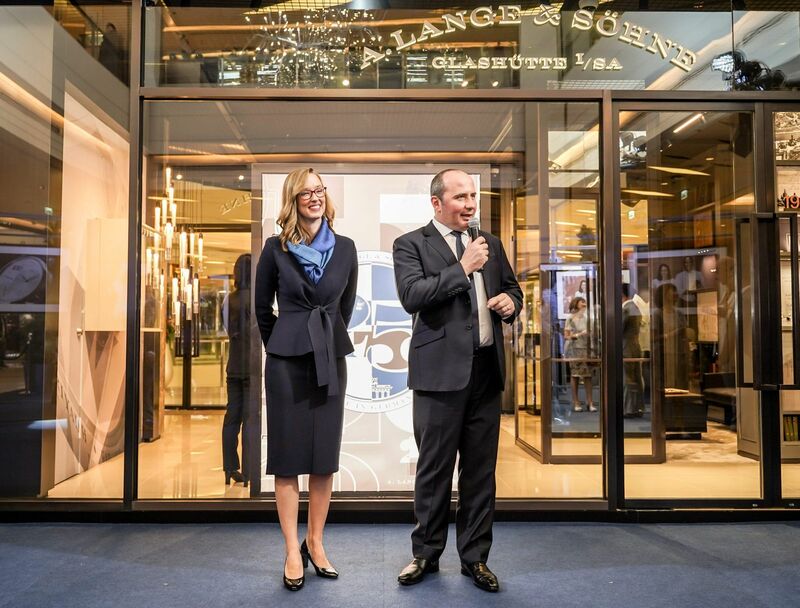 Society personalities and watch collectors (as well as the whole collection of Lange’s 2019 launches) gathered for the ribbon cutting ceremony, which took place a week ago. 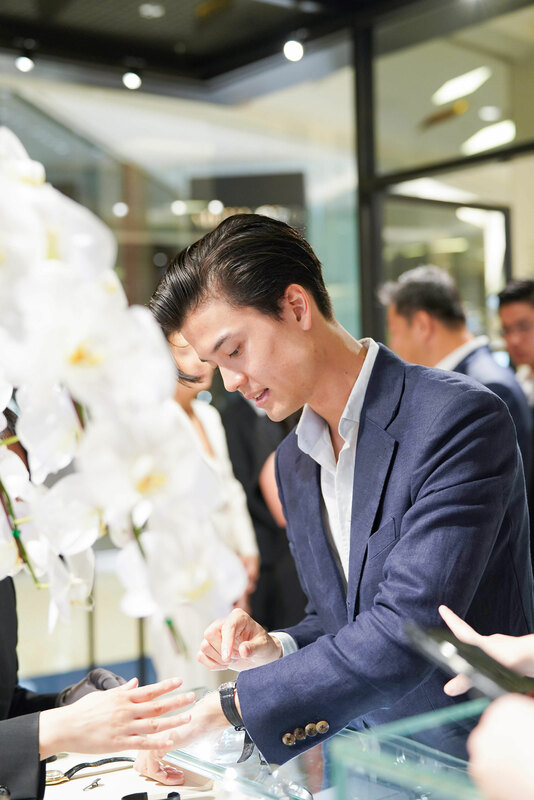 The opening continues the slow but steady expansion of the brand in the region, seven years after its first Southeast Asian boutique opened in Singapore. 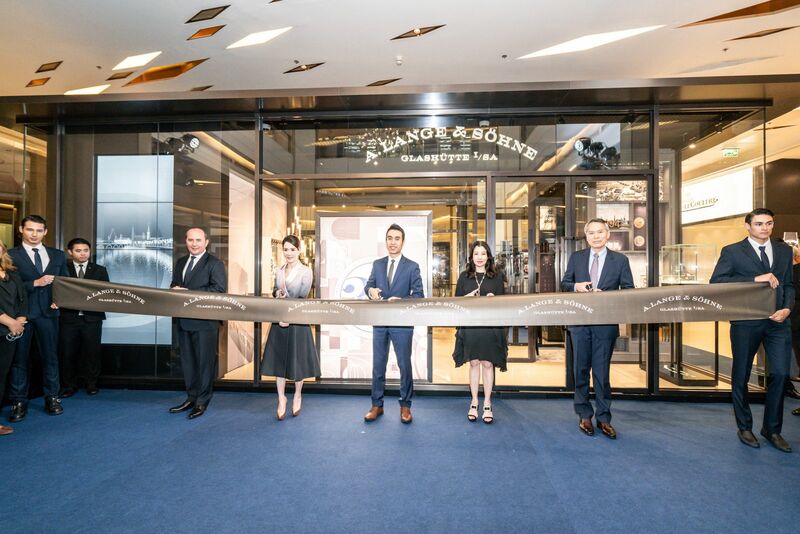 Located in the enormous Siam Paragon, one of the largest malls in Thailand, the new Lange store is quite literally “free-standing”, the first such boutique for the German watchmaker. 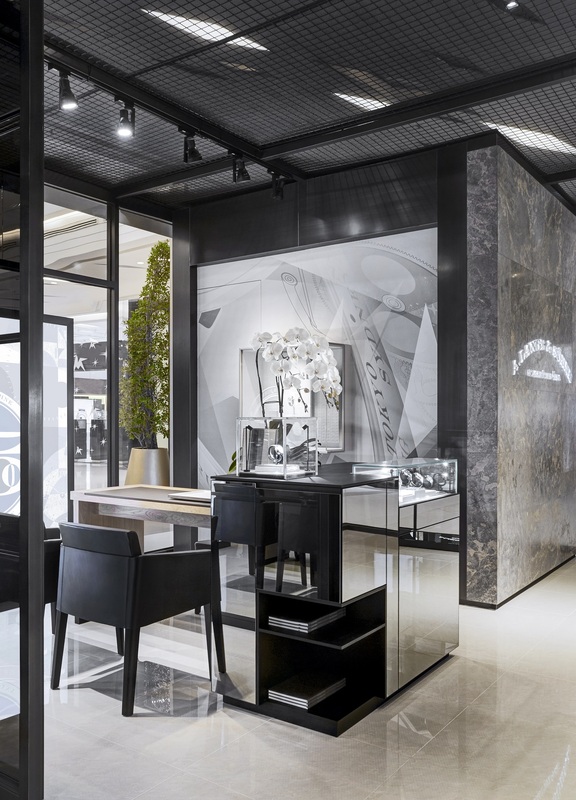 Opened in partnership with retailers Sincere Watch and Pendulum, the 50-square metre boutique is essentially a glass box that sits on the main floor of the shopping mall, with 360-degree visibility all around. 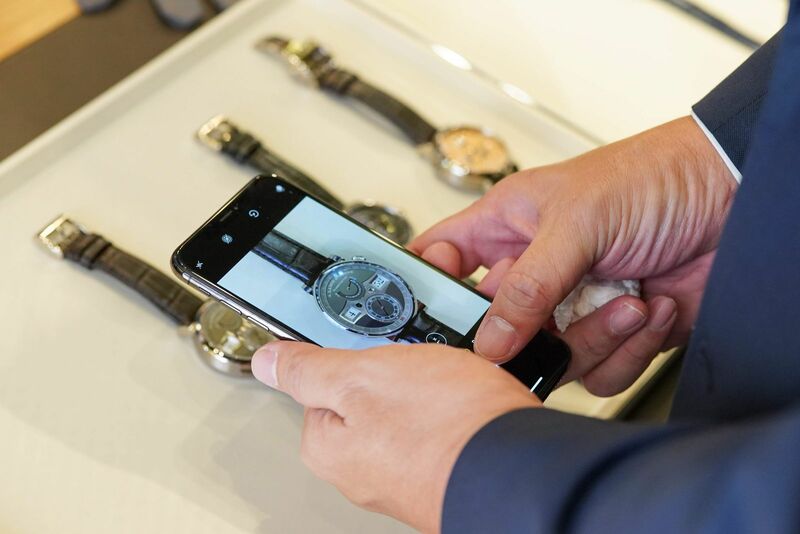 And it is in good company, positioned along an alley that contains boutiques belonging to Louis Vuitton and Chanel, as well as watchmakers like Patek Philippe and Rolex. 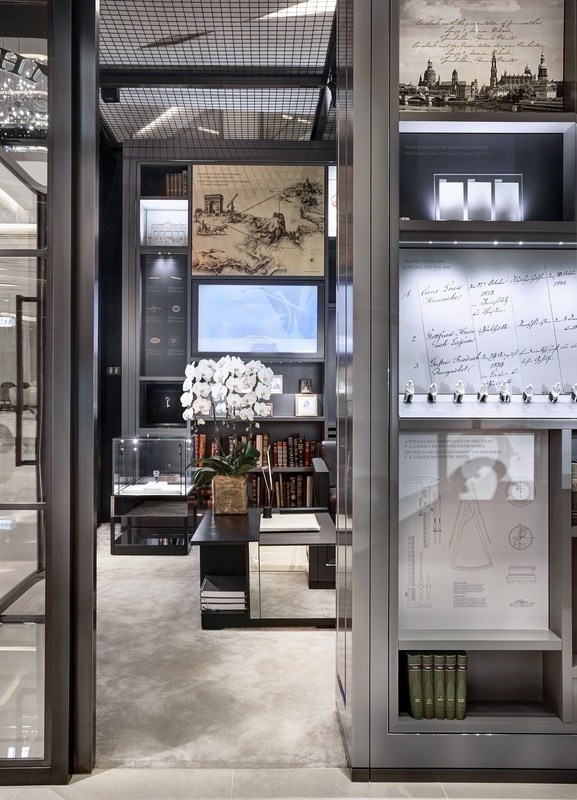 A highlight of the boutique is the Experience Library, a collection of objects and texts that explain the brand and its craftsmanship. From posters with that detail Ferdinand Adolph Lange’s very own measuring tools to renderings of the Lange’s in-house balance springs, the Experience Library is meant to bring the visitor into the brand’s past and present. 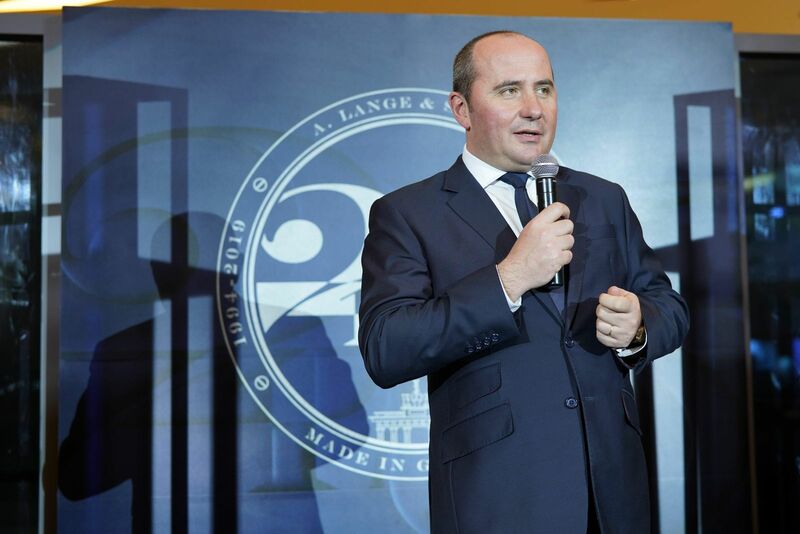 Significant ornaments from Lange’s history, such as a piece of the Berlin Wall and a miniature Eiffel Tower, signifying the founder’s travels around Europe before he established the company, add to the nostalgia. On another wall, a collection of small human figures represent the brand’s first class of trainees from 1846, bring them to life in to three-dimensional miniature. 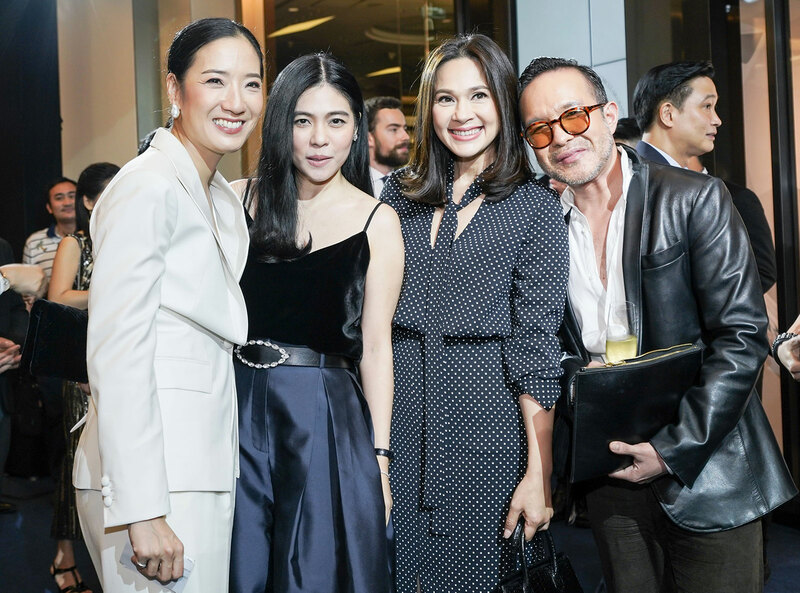 The Bangkok boutique is also notable for being dressed in the brand’s new look that relies on dark grey, stone and steel. 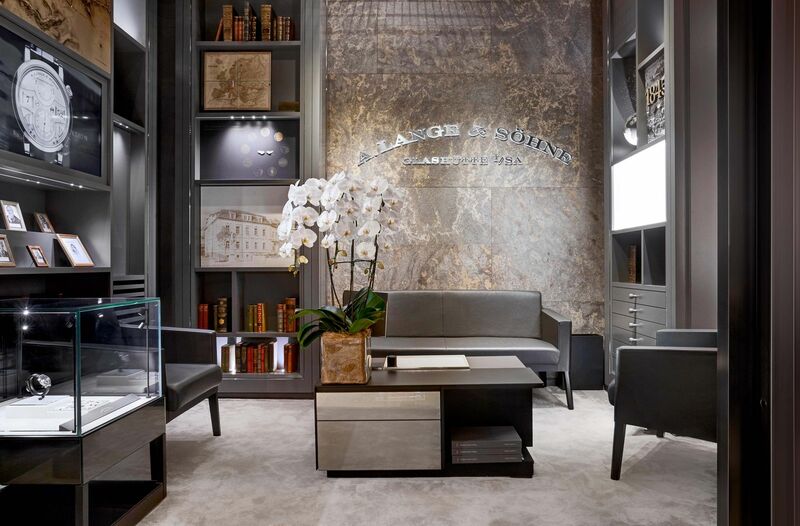 A shade darker than the colour used for the earlier generation of boutiques, the grey livery of the boutique is accented by touches of silvery-gold metal – which was specially developed for the boutique interiors – intended to echo the German silver used in Lange movements. 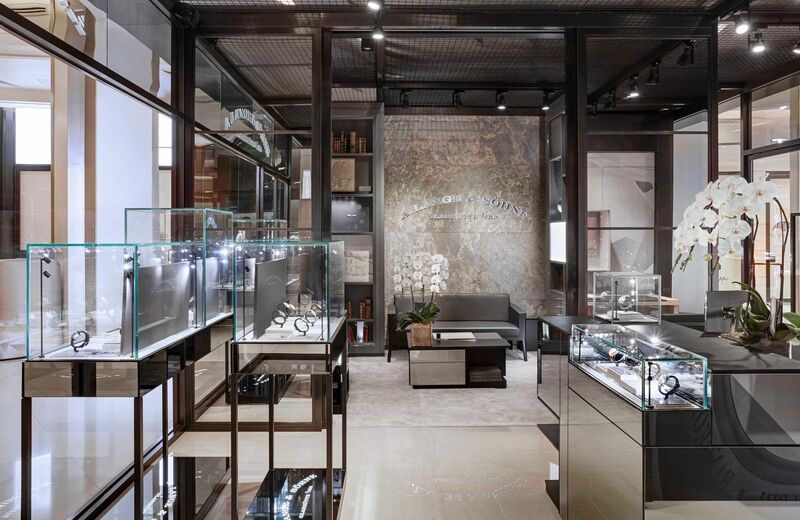 The look was inspired by the region around Lange’s home town of Glashütte, an area once so rich in metals like iron and silver as well as minerals it was named the the Ore Mountains. 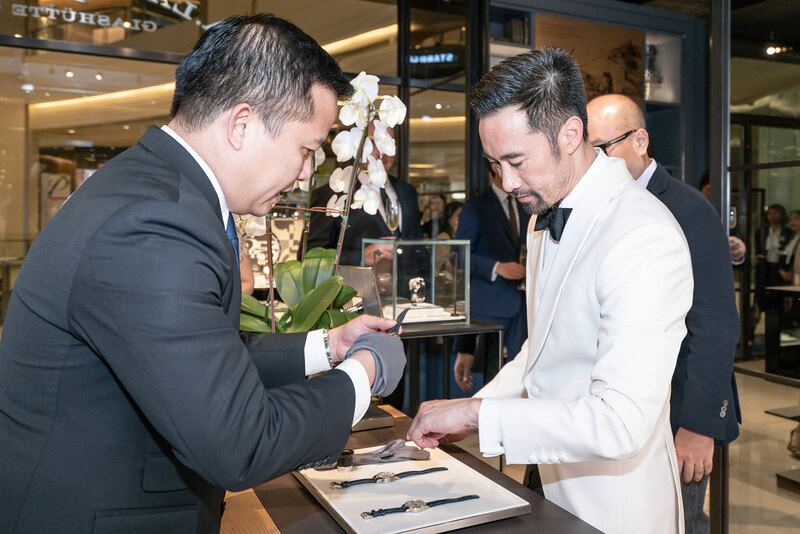 Lange is gradually updating its stores around the world to reflect the new look, and the boutique in Bangkok is only the fourth in the world in this style, after Dresden, Shanghai, and Chengdu. 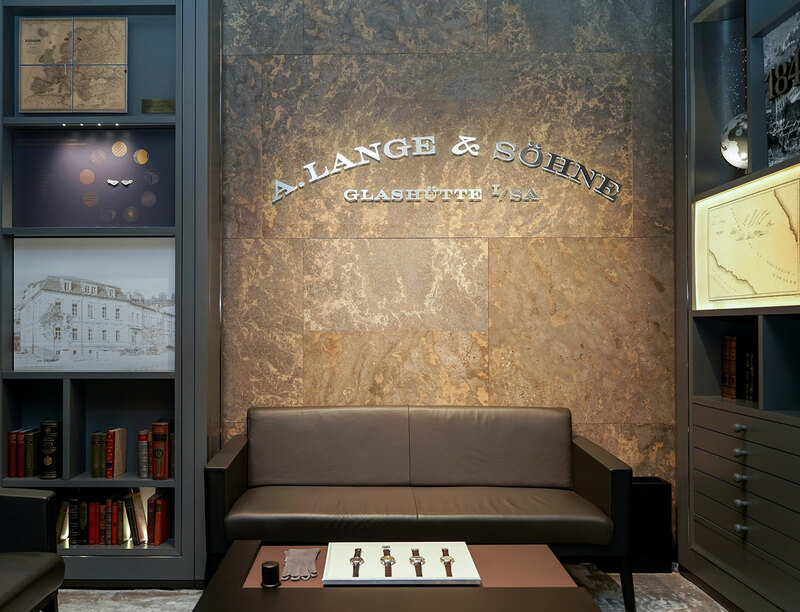 The A. Lange & Söhne boutique is open daily from 11:00am to 7:00pm.